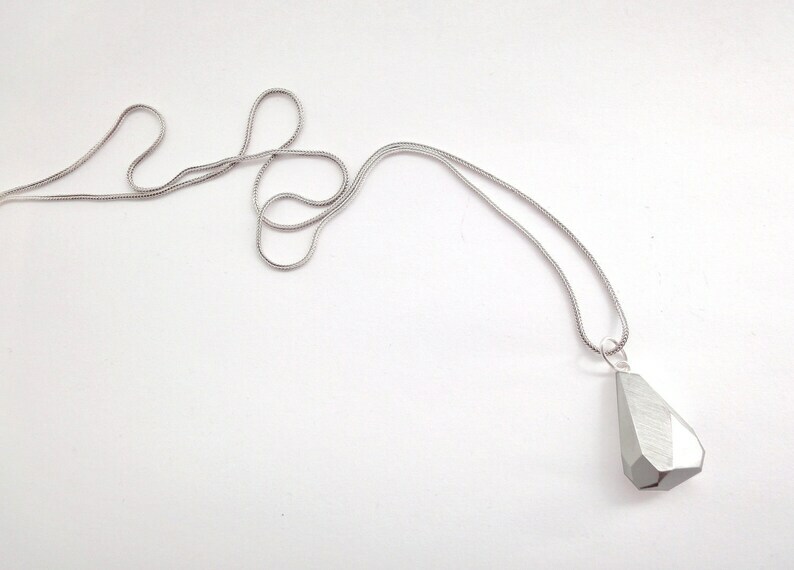 This pendant is made of cast sterling silver worked in clean irregular facets with a satin matte finish, and hung on a long 26in. sterling silver wheat chain (1mm thick) with a lobster clasp. A special piece to keep and protect and let it last and live through generations. The pendant is about an inch and half tall and a half inch deep.